Made from our superfine 100% merino wool fabric, these versatile neck warmers are the ultimate active and outdoor wear companion piece to keep you warm and comfortable no matter what the conditions. 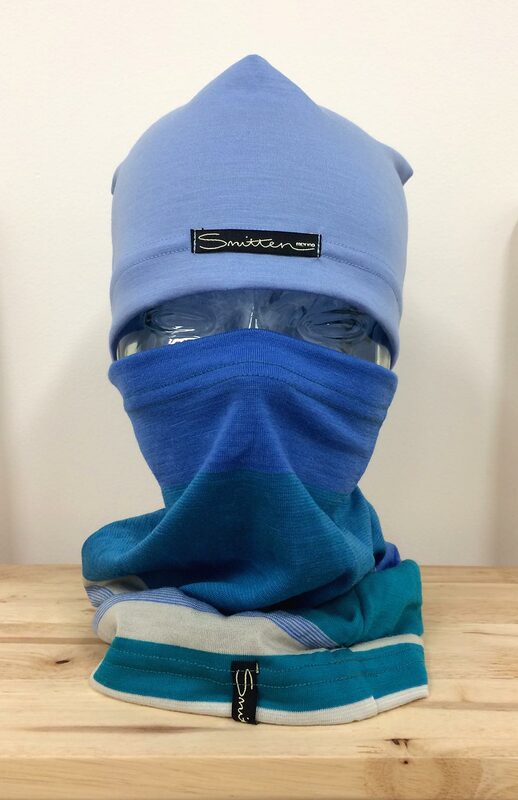 The Smitten neck warmer can be used to protect your neck, shield your lower face, as a sweatband over your forehead, doubled over as a lightweight beanie or any number of other combinations – a seriously good multipurpose item! Wear it hiking, climbing, running, cycling or simply out and about. No adventurer should be without one. Combine it with our tried and trusted Lightweight Beanie and Fingerless Mittens for even greater protection from the elements. Magnificent for adventure and travel, the Smitten neck warmer can be stashed away in a pocket or backpack so it’s always with you, ready for your next expedition!